We designed and developed an immersive virtual experience with the help of a neural network. 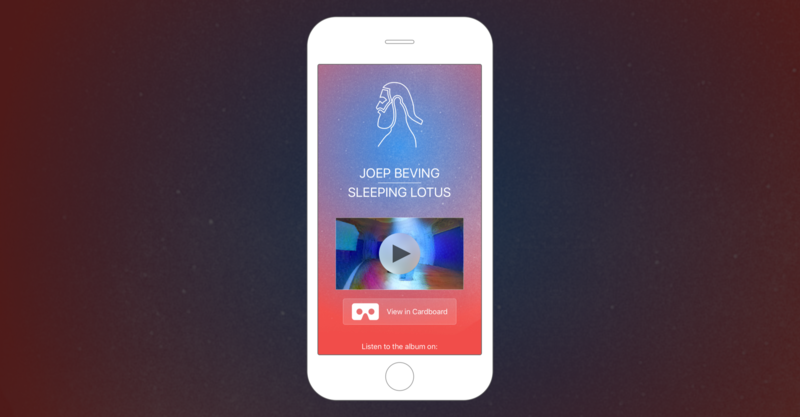 The music video of the song Sleeping Lotus is the result of something called a neural network. A neural network is basically an algorithm. This specific algorithm looks at paintings and tries to extract the characteristics of the specific style, in this case an impressionistic style of painting. After the neural network has extracted this style, you can get it to “paint” pictures in this specific style. So by then ‘feeding’ the network the ‘Sleeping Lotus’ video frame by frame, the network tries to replicate what it knows about painting. Dutch composer and pianist Joep Beving self-released his debut album ‘Solipsism’ in 2015. The title refers to the philosophical idea that reality only exists in one’s mind. Beving’s music is an experiment in existential communication, a hopeful belief in an absolute aesthetic, to prove that a universal and metaphysical reality does exist. The sight of his daughter sleeping was the inspiration to the song ‘Sleeping Lotus’, thinking about all the wonderful and sad things that life will present her with. We combined various techniques for this virtual experience. First we shot a 360 video, then tracked and animated the cubes to float around in the video. Once finalized, we replicated each frame of the video with the use of the neural network. All this comes together in a native app with our own 360 OpenGL player, both used for full screen and Cardboard view.